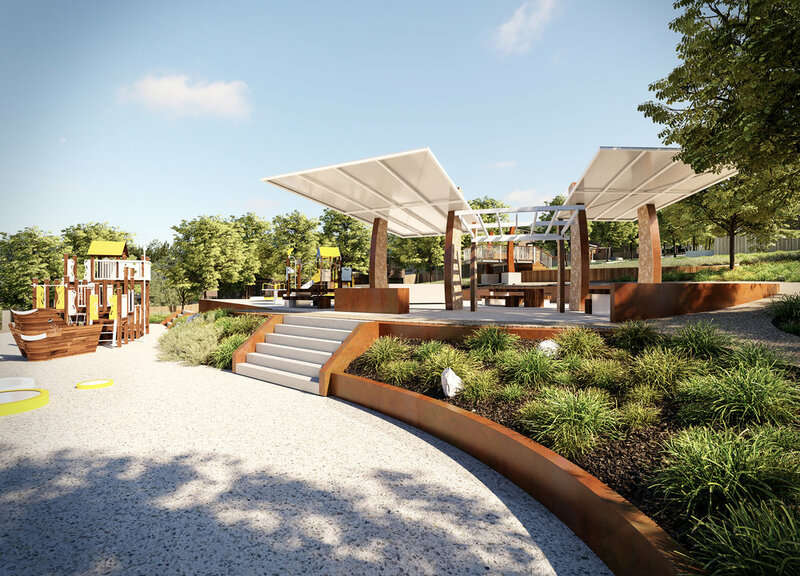 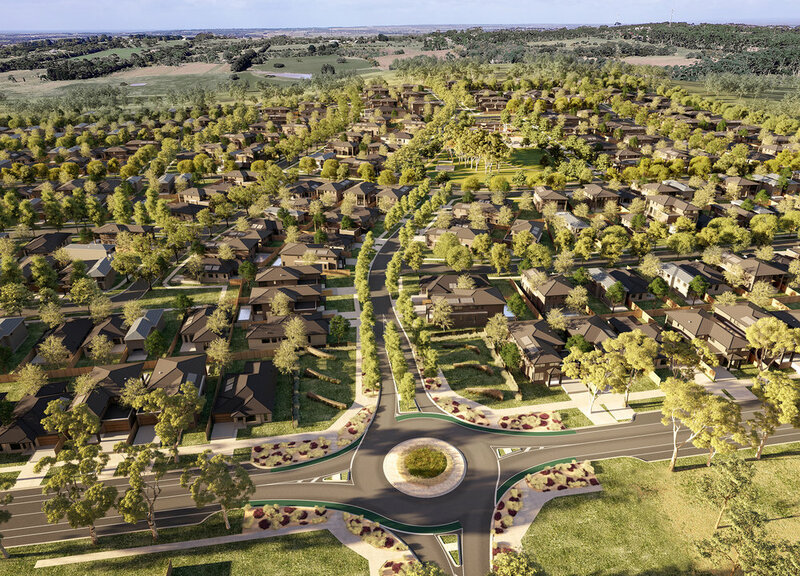 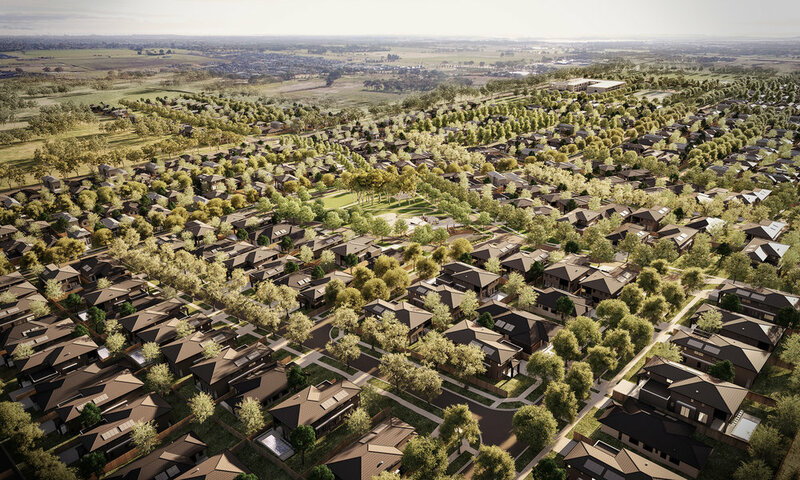 team atomic curated this series of emotive estate renders to showcase the clients master plan and landscape design for the start of a major estate project in armstrong creek . 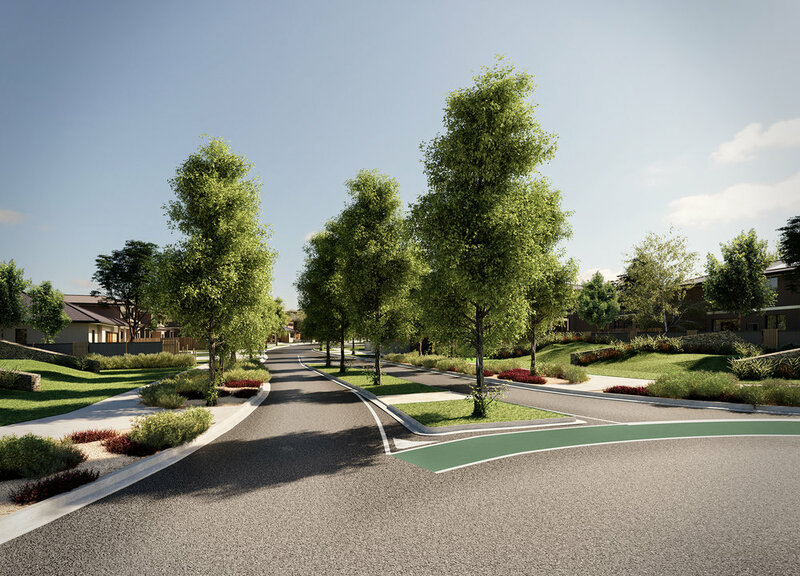 . . we were tasked with building a contoured landmass from the architects survey data, then style the streets with a range of native trees amongst custom built house designs.